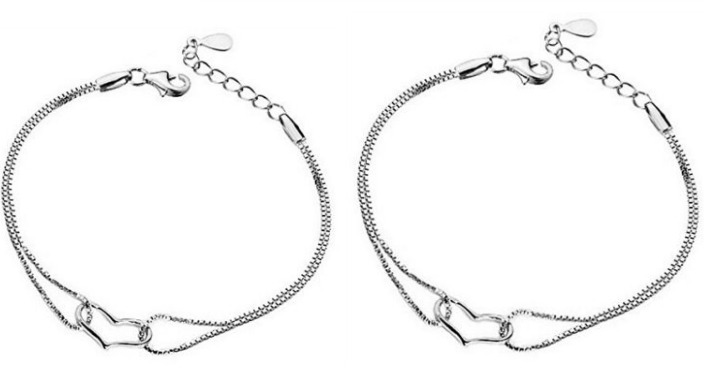 Silver Heart Love Chain Bracelet Just $2.24 Ships FREE! You are here: Home / Great Deals / Amazon Deals / Silver Heart Love Chain Bracelet Just $2.24 Ships FREE! You can get a few of these and add them to your gift closet and keep one for yourself at this price! Get this Silver Heart Love Chain Bracelet for just $2.24! Plus it Ships FREE!